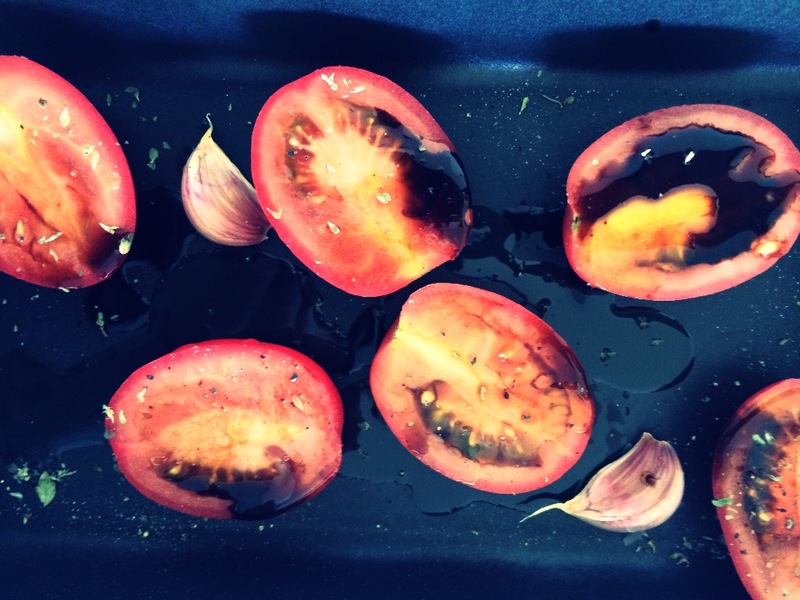 Place 3 halved plum tomatoes and 2 whole garlic cloves in a baking tray, drizzle with olive oil and balsamic vinegar. Sprinkle with dried oregano and season to taste. 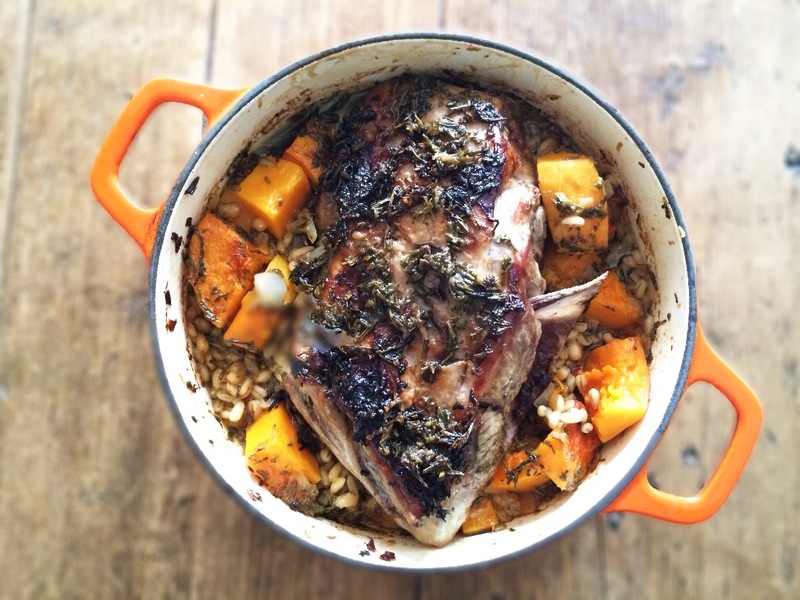 Roast at 190′C, 170′C fan, gas 5 for 30 mins. Serves 2 (double for 4). For full Embellished English click here.